If you are looking to join a fundraiser that is hosted by an organization then the following steps will help you do just that. 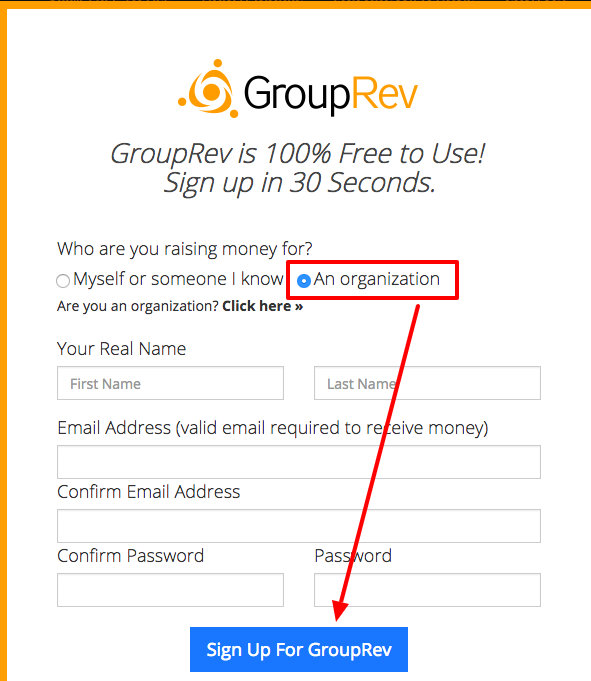 - Next, you will sign up and select the option to raise money for an organization. - Search for the organization by name and then click on "Join the Cause" of the correct fundraiser. - You will now be taken to set up your page. Fill in the information and click Create Page at the bottom.